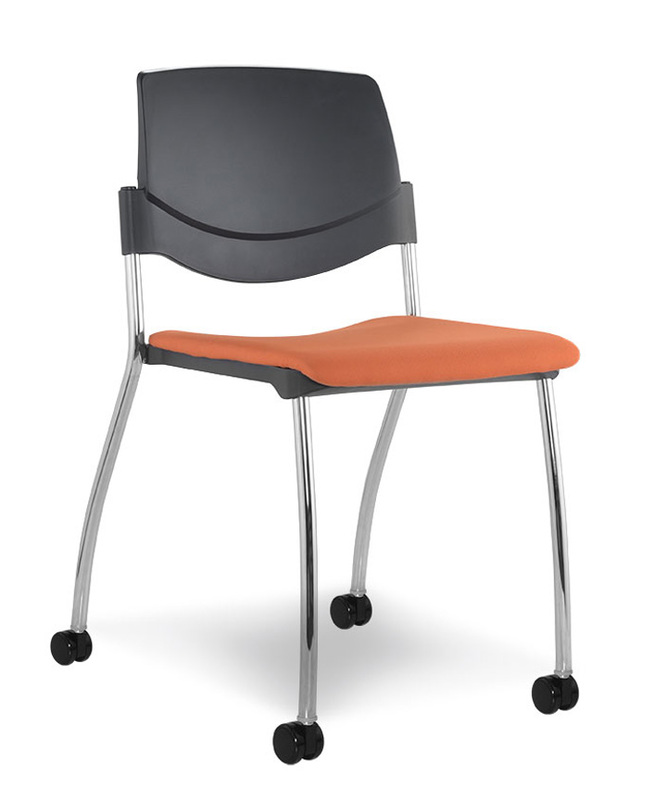 Multipurpose | Side Chair - Sutro is a versatile multipurpose seating series. Sutro is available in three different poly colors; black, white and gray. Two wall-saver frame colors (black or chrome), with or without casters. Sutro can also be specified with a five star swivel base and drafting stool height. Upholstered seat and back pads are also available.